Fintech Taipei 2018 was held in the World Trade Center 1 today. A two-day Fintech Taipei 2018 Exhibition is held in the World Trade Center 1 starting from Friday. Li-hsiung Koo, the chairman of Financial Supervisory Commission, said that the grand fintech exhibition allows Taiwan to showcase its advantages to the world such as achievements in Fintech innovation and ample technological talents. He hopes this exhibition can become an international platform, which accelerates Taiwan's industrial innovation. Koo indicated that digitalization and intelligence are the focus of global technological innovation. In order to adapt the transformation of social and economic structure, advanced countries invest in the related field to leveraged cross-industy R&D and application. The changing structures include the aging population, sub-replacement fertility, slowdown in economic growth and environmental pollution. Technology innovation requires multi-faceted supports from talents, capital, technology, regulations, and markets. Catalyzed by the following: 1) Taiwan's scientific and technological talents are abundant, 2) telecommunications infrastructure is well, 3) the financial industry is mature, 4) regulations and consumer protection are sound, 5) government embraces innovation, Taiwan has become a proper place for the key technological innovation, Koo said in the event. Koo emphasized that the “Financial Development Action Plan” adopted by the Executive Yuan this year has listed fintech as one of the important strategies. 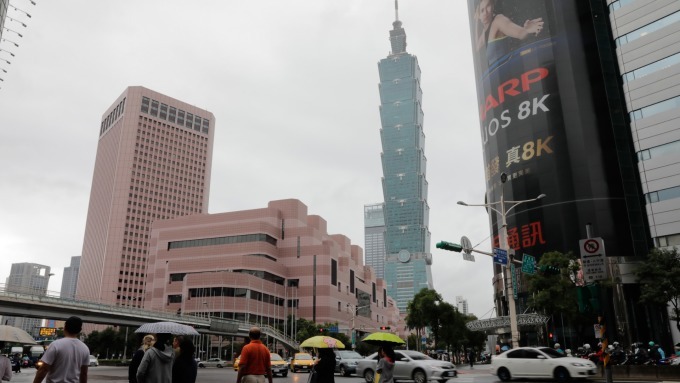 Taiwan is one of the first countries in the world to set up a financial regulatory sandbox. We also established a fintech innovation park to assist new fintech entrepreneurs in research and development. These policies are designed to provide the nutrients needed for innovative industries and have shown positive results for shaping Taiwan's fintech ecosystem. In addition to Taiwan's financial institutions and startups, exhibitors from Australia, the United States, Hong Kong, Switzerland, Canada, Singapore, Poland, the Netherlands and other countries are also invited to the evnet. Koo hopes that the Fintech Taipei exhibition will become an international platform to provide mediation and exchanges for fintech innovation, expose Taiwan to more resources and experiences, and accelerate industrial innovation.